Editor’s note: Dr. Patricia Papernow is a psychologist, an internationally recognized expert on stepfamilies and the author of Surviving and Thriving in Stepfamily Relationships: What Works and What Doesn’t. 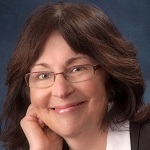 Patricia’s continuing education presentation for GoodTherapy.org, titled “Meeting the Clinical Challenges of ‘Blended Family’ Relationships” is scheduled for 9 a.m. PDT on May 15, 2015. This event is available at no additional cost to GoodTherapy.org members and is good for two CE credits. For details, or to register, please click here. In some ways, a stepfamily looks like any other family. However, it is critical for therapists to understand that stepfamily structure creates a fundamentally different foundation upon which to build a family. The good news is that several decades of research and practice tell us a great deal about how to make healthy, thriving stepfamilies. The bad news is that many stepfamily members, and all too many clinicians, do not have this information. In fact, many myths and misconceptions may inform stepfamily members’ expectations and their therapists’ recommendations about the “blending” of families. As a result, both stepfamily members and their therapists make some very common “wrong turns” with sometimes devastating results. Here are two of the “easy wrong turns” that I often see, along with some practical, evidence-based guidance about what does work. Our Western, first-time family model puts the couple at the center of the family—“If the couple is OK, the children will be OK.” Indeed, a good couple relationship is very important for stepfamily health. It is also true that stepfamily structure makes adult stepcouple relationships quite vulnerable: In a first-time family, children enter their parents’ already-established relationship. They are hardwired for attachment to both parents, and vice versa. In contrast, in a stepfamily, the strong, historical pathways to attachment lie in the previously existing parent-child relationships, not in the adult couple. Established agreements about everything from food to noise to mess to money also lie within the parent-child unit, not in the new couple. Now add that children need their parents, not their stepparents. Furthermore, while a new couple relationship is a wonderful gift for the adults, children often experience a loss of parental attention and yet another series of unchosen, uncomfortable changes. In fact, very strong stepcouple relationships are linked to poorer well-being in stepchildren, probably because kids are not getting the secure parental attachment that they need. Many children also experience a loyalty bind: “If I care about my stepparent, I have betrayed my parent.” As a result, stepchildren often need distance from their stepparents. Some may even be actively rejecting. For all of these reasons, every time a child enters the room or becomes the topic of conversation, stepparents find themselves in a stuck outsider position. Parents are stuck insiders. Here’s how it unfolds: Kate, a stepmother, has finally found a moment when she has the full attention of her partner, Joanne. Kate and Joanne are deeply engaged in conversation when Joanne’s daughter, Julia, bursts through the front door. Julia, age 12, has just learned that her “best” friend did not invite her to a sleepover. Julia needs to bring this, and all of the stories from her day at school, to her mom. Not to her stepmom. Julia charges into the house, “Mom, you wouldn’t believe …” What does Joanne do? What does any good parent do? She turns to her daughter. Kate is left standing on the outside. These kinds of interruptions also happen in a first-time family. However, in a healthy first-time family, insider/outsider positions shift between the adults. Sometimes one parent is the center of the child’s attention. Sometimes it is the other parent. In a stepfamily, insider/outsider positions in the adult couple are stuck. Every time a child enters the room, the stepparent is left out, or even pushed into the outsider position. The parent is pulled into the insider position. Even more painful, insiders and outsiders experience the same moment very differently: Stuck insiders feel pulled, inadequate, and constantly torn, “I turn to my child and my partner is upset. If I turn to my partner, my child is upset.” Stuck outsiders feel alone, invisible, and “like I don’t matter.” Couples expecting blissful blending are especially likely to experience these moments of difference as painfully disappointing attachment breaks. What to do? However, good therapy for stepfamilies does not stop at strengthening the couple relationship. It is critical to remember that children in a stepfamily also need regular, reliable time alone with their parents. In fact, extremely strong stepcouple relationships are linked to poorer well-being in stepchildren, probably because kids are not getting the parental connection that they need. Secure attachment is the most regulating, comforting, and powerful healing force for children. Julia, for example, needs time with her mom to process her day. In a stepfamily, the guideline is both/and, not either/or. Successful stepcouples carve out both time alone together and consistent, dependable time for parent-child connection. While we are on the subject of one-to-one time, stepparents and stepchildren also need some time alone together to build their own new relationship. When the whole stepfamily is together, the stronger, older parent-child relationships trump stepparent-stepchild relationships. I suggest that stepparents look for low-key, enjoyable, “shoulder-to-shoulder” activities they can do with their stepchildren—cook a meal together, go skiing together, build something together, etcetera. This polarity is present whether or not both adults have children. 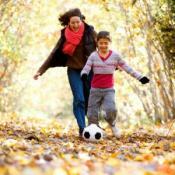 Parents not only have that heart connection with their own children, they also have shared understandings about what is “bad behavior.” Stepparents have neither the underlying bedrock of attachment nor agreed-upon rules and values. When this goes badly, frustrated stepparents become increasingly harsh and parents become increasingly defensive and permissive, and children are caught in the middle. What to do? Beginning with Diana Baumrind’s work (1986), a large body of research clearly tells us that children do best with authoritative parenting. Authoritative parents are warm and responsive, and they provide moderately firm limits. However, the research is also very clear that until or unless stepparents have formed trusting, caring relationships with their stepchildren, parents must retain the disciplinary role (Ganong and Coleman, 2004). Even authoritative discipline by a stepparent, too early, often backfires. Furthermore, across cultures, authoritarian (cold and firm) parenting by a stepparent proves extremely toxic to stepparent-stepchild relationships (Papernow, 2013). The guideline I give stepparents is to focus on connection not on correction. As my good friend and colleague Beverly Reifman puts it, “You have to make a relationship with your stepkids before you can make any rules.” In fact, there are many healthy thriving stepfamilies where stepparents never take a disciplinary role. Meanwhile, successful stepcouples do work as a parenting team: Stepparents have input and parents have final say with their own children. When this goes well, stepparents can often help parents become firmer and parents can help stepparents to be more understanding. Joanne may help Kate to appreciate Julia’s feistiness. (This will be especially hard if Kate was raised in an authoritarian family!) Kate may help Joanne to teach her daughter to find some constructive, calm ways to say hard things. With patience and wisdom, stepfamilies can become healthy, thriving families and good places for both adults and children. After five years, children in stepfamilies look a lot like children in first-time families. However, becoming a stepfamily is a process, not an event. It takes years, not weeks or months. Research does tell us that age and gender make a difference: Children under 8 and boys find the transition easier (Van Eeden-Moorefield and Pasley, 2012). Adolescents, particularly early teen girls like Joanne’s daughter Julia, find the adjustment especially difficult. This means that, even in the same family, some children will need more time than others. 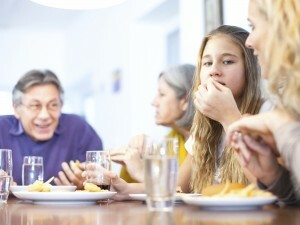 As one mom said to me, “Becoming a stepfamily is not fast food. It’s a slow cooker!” We can add that some ingredients may need a very long time to brew while others cook more quickly. Baumrind, D. (1989). Rearing competent children. In W. Damon (Ed.) Child development today and tomorrow (pp. 349-378). San Francisco, CA: Jossey-Bass. Ganong, L., & Coleman, M. (2004). Stepfamily relationships: Development, dynamics, and interventions. New York: Plenum. Papernow, P. (2013). Surviving and Thriving in Stepfamily Relationships: What Works and What Doesn’t. New York: Routledge. Sometimes I think that no matter what you do blending those two families together will never be something that is easy. There are always things that you can do to try to make the transition go a little better, but believe me, raising a family with step kids and keeping everyone happy will never be an easy job. You are right that bringing two families together can be incredibly challenging. I do think that phrase “blended family” sets us all up for the wrong thing. Then when we don’t “blend,” there is a sense of failure. Stepfamilies are a lot less like blending blueberries and strawberries together to make yummy drink, and a lot more like asking a group of Japanese folks to live intimately with a group of Italian folks. It takes a lot of time, and a lot of what I call “learning by goofing.” There are things that help! I hope that reading my book or coming to the webinar will make it clear to you what you have done well, and what concrete things you could try next! I guess that my parents all did the right things because I don’t remember there ever being any problems even though we all had steps and halves and everything else! It was kinda of hard at times to even keep up with who was actually related to whom but in the end we all just stopped remembering because it didn’t matter- we were family. I saw my sister totally lose her second marriage because they went into it with really not much regard for the feelings of the kids, but it was all about the two of them. Not to mention that all of the kids involved were teenagers at the time, probably the worst possible time in any of their lives to have a major change like this, and for as much as she and my brother in law were in love, it was never enough to overcome the harsh reality that they could never seem to make it work as a family. Too much tension. No matter what the kids say, they are going to do best in the home where there is structure and discipline, and respect coming form both sides. The need for respect all around is absolutely right. And it’s also absolutely right that kids need structure and discipline, with two caveats. The first is that until stepparents have formed a caring, trusting relationship with their stepkids, parents have to be the disciplinarians. The second is that the research very clearly tells us that all children do best on every measure imaginable with “authoritative” parenting. “Authoritative” parenting is warm and empathic as well as providing moderately firm limits. Children do not do well with “authoritarian” parenting. Authoritarian parenting is firm, but without sufficient warmth and empathy. Authoritarian parenting by a stepparent is particularly toxic. All of the advice is great until you go into one of these living arrangements and nothing goes by the textbook rules that you have been reading about! My step sons are angry and belligerent and they have absolutely no respect for me and my sons. It is as if we are re living a war in our own home, and honestly I don’t know how much longer I can live like that. My mom and dad divorced when I w s very young so I think that by them doing this and getting on with their own lives form the time that I was very small helped me more readily accept their new relationships and have a better understanding that this is my life, not some grand dream of them getting back together. It must be hard when you get to a certain point and your parents split and it sort of uproots everything that you thought about them and yourself. But I thank them that they did all of this early so I never got in between their strife and pretty much by the time I was old enough to remember anything, this was my version of normal so I was ok with it all. It sounds like maybe your parents handled themselves well–meaning they did not put their kids in the middle of any strife between them. Or at least, over time, they learned to protect their kids from any conflict. It makes such a difference when parents can do that because it isn’t divorce that has the biggest negative effect on kids, it’s conflict! One of the things I tried to do in my book was to tell a positive story of stepfamilies meeting each of the challenges. I’m so glad you wrote! It is so important to hear stories of things going well! I have been in a blended family for almost 4 years now. We attended blended family workshops early on, communicated with each other about how to do things and who should and shouldn’t enforce, Thai didn’t always work as I was left in charge of the four children often after school etc. We also had the added bonus of a child with emotional detachment issues and a child with ADD and ODD. Both of these children are my fiancées. I found these issues really hard to deal with even being a school teacher as I have never come across children to cannot respond well to me and to my way of doing things, expectations. My own children accepted the other two into our home, into a bedroom in one case, into their lives happily although life had new stresses. After living together for almost two years my fiancée decided moving out would be the best thing for our future so he could get a better grip on being a father to his girls and be able to spend more time with them on their own to create a better bond with them and for them to gain a more settled way of life. I agreed to this although it wasn’t an option I wanted to explore. After a year he made a further request to change our weekends so that we would no longer have every second weekend child free but instead he would have his kids when I didn’t have mine and vice versa then each adult, parent would have quality time their own children and also the step parent would be able to spend quality time with the others children. Again, because I want this relationship to work, I agreed and it has been that way for the last 6 months. In the weekend he gave me the bombshell that he felt he could no longer commit to me with my children. He doesn’t know how to let them in and has realised that he has been getting very irritated and short with them and it’s not fair on them or me. Yet through the entire hideous weekend he still maintains how much he loves me. I managed to get him to make an appt to talk to someone tomorrow as I feel if he hasn’t even done that then he hasn’t give ‘us’ enough of a chance. Do you have any suggestions for me? I’m feeling very lost and alone. I don’t want to tell anyone as I am full of hope that we can work through this. My children are very normal 8 and 12 year olds, his are almost the same ages. They are as normally cheeky and talk back like all other children. Hoping you can offer any suggestions for me. I don’t want to lose him. I have never loved or felt love like this before. Thanks. I hope you will tell some close friends so you have support. This is not something to journey through alone! I would be glad to help you find someone to talk to. Feel free to contact me through my web site, tell me where you live, and I will see what I can do. Me and my husband stay on the same page when it comes to parenting and discipline. Also we attend family counseling and we have managed to be a strong family unit. We are even looking into step parent adoption and have been doing some research here at rapidadoption.com/free_adoption_booklet.html. What are your feelings on blended families and step parent adoptions? I do agree with you that the kids should come first and that the couple should not make themselves a priority. Thank you for the article, this will help many blended families survive! It sounds like you have done well together! I didn’t mean that the couple shouldn’t make themselves a priority. Just that kids needs sometimes need to come first. And that it’s “both/and” (both the couple AND the parent-child relationship), not either or. The main problem with adoption in the U.S. is that it requires that the other parent to give up being a parent. In the US, our legal system assumes that children can only have one dad and one mom. So, in the U.S., if it’s a stepdad adopting, the dad has to agree and sign off. If it’s a stepmom, the mom has to agree and sign off. At that point, in our state, the child’s birth certificate is changed. In the United Kingdom, the law is much wiser. There is no requirement that children have only one dad and one mom. If a stepdad (stepmom) adopts a child, the child can still keep their dad (mom). If the other parent has died, you no longer have to get their permission. However, even if that parent was inadequate or abusive, being required to give up the other parent can make a painful loyalty bind for children. “If I love my stepdad, I will lose the last shreds of the little that I have of my dad.” So, sometimes, with the best of intentions, a stepparent adoption can make things a little less stable rather than more stable. Younger ages (under 8) are generally easier. But sometimes things are easy when the kids are young and then there’s a bump of difficulty when children become adolescents and have a whole raft of new feelings of loss and loyalty binds. So, I would say, feel it out carefully. Talk to the kids with the language of parts. Give them permission and support for a mix of feelings. For instance, “Part of you is so glad your dad is gone, because he hurt you and disappointed you. But he’s your dad, so part of you might still love him and miss him. ” (Check to see, “Do I have it right? What words would you use?”) When you get it right for the child’s experience, you can say, “It can be very surprising and confusing to find you have those two opposite parts in the same person. And both are true! I’ll help you hold both.” And then, stay present both to the parts that are ready to let go and replace the absent parent, and the parts of the child that may find it difficult. Paradoxically, that may help kids manage an adoption without feeling so torn or confused. I hope this is helpful! Thank you so much for your kind reply! I do feel like our family is very lucky to have such a good blended family experience! Even though to us the kids are number one, we do find the time to have date nights, just me and hubby, so we are trying really hard to balance things out. If you have anymore great advice on that then that will be helpful. I have a read a few of your blog posts online and I admire your writing so much when it comes to the step families! As for the step parent adoption, thank you so so much for taking the time to talk that over with me. We are still doing it but I do like the laws better in the UK where the bio parent wouldn’t have to sign away rights and that the kids can have more than two parents. Seems so much better, in my opinion. In our case, the bio dad was more than willing to sign because he’s been trying to get out of child support. Very sad, but it happens. Again, thank you for the kind reply! I’m just wondering in the above scenario where the daughter bursts into the house and interrupts the bio mom and step parent and the recommendation is that later the bio parent says, “I know we left you there. Thanks for leaving space. How you doing?” How can such a response actually be adequate. Clearly the bio mom and daughter’s needs have been met, but how does the step parent hear anything other than, “I can never really be there for you.” This seems like a no win solution for the step parent. At moments like this, a stepparent may certainly need some extra hugs. But, in no way is this saying, “I can never be there for you.” Mostly, it’s about taking turns. One way to meet everyone’s needs is to carve out lots of one-to-one time. Parent and child need alone time, The parent and stepparent need have time alone together as a couple without kids. Stepparents and their stepchildren also need some time alone together to get to know each other, without the parent present. I hope this helps a little!